Only Labour will defend Pensioners. Only a Labour government will protect the financial security of pensioners. 20850 pensioners will benefit from Labour’s plan to keep the “Triple Lock”, under threat from the Conservatives. The Labour Party has committed to defend the “Triple Lock”, by which state pensions are increased each year by either inflation (Consumer Price Index), average earnings, or 2.5%; whichever is greater. The Triple Lock has been a powerful tool in maintaining the value of pensions, and based on government forecasts and the work of independent pension experts, the cost of the Triple Lock is only 0.1% of GDP. The Conservative Party is refusing to commit to the Triple lock, but once this commitment to pensioners has been breached then it is likely we will see more and more pensioners slipping into poverty as years go by. Already, since 2011 under the Conservatives, 400000 more pensioners are living in poverty. This is of course not the only area of controversy surrounding pensions. Changes to the retirement age introduced in 2011 without adequate communication and at short notice, have particularly disadvantaged women, many of whom have campaigned to highlight the injustice. The Labour Party is fully committed to addressing the hardships caused. Furthermore, the Conservative government’s recent review of the pension age, conducted by John Cridland CBE, recommends bringing forward from 2044 to 2037 the planned increase in retirement age to 68. Labour does not believe that the case has been made for a further increase of the retirement age, particularly as many jobs are extremely challenging for older people. It is not only difficult to see how someone can continue in a manual job like road maintenance up to 68, but jobs like being a Teaching Assistant can also be physically demanding, and hard for an older person. While the government is directly responsible for the state pension provision, it is also important to highlight the difficulties being caused by very low annuity rates for those retiring with a defined contribution scheme, these low annuity rates are being caused by the low returns on investment caused by the government’s austerity programme, and the lack of economic growth. Labour’s plans to grow the economy, through – for example – a National Investment Bank, and regional development banks will unlock £500 billion of investment in the productive economy, which will lead to higher returns on investments, benefitting pensioners relying on investment income through their pension funds. 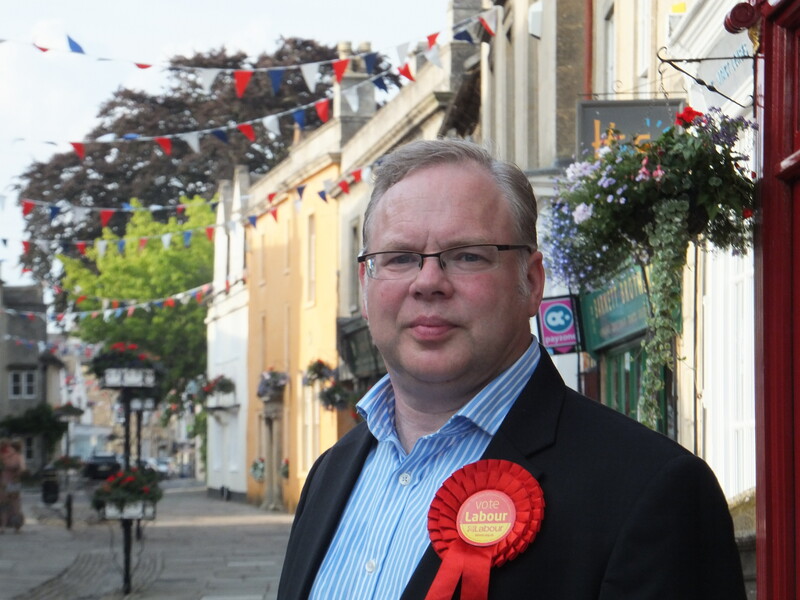 I was privileged to be the Labour candidate for Chippenham constituency in 2015, and I am delighted to be standing again in the same seat, the constituency where I live. In my role as branch secretary of the GMB trade union in Wiltshire, I have been involved in several recent meetings discussing redundancies in local schools, due to funding cuts from the Conservative government. Many local schools are standing on a cliff edge regarding funding, and unless the Government allocates more money, schools will lose £3 billion a year in real terms by 2020. What do those numbers mean to us locally? 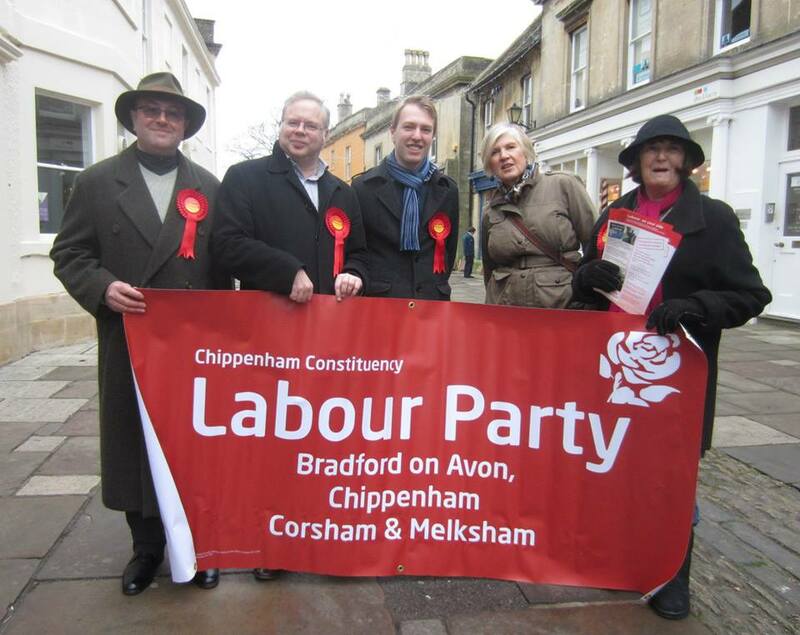 The Chippenham parliamentary constituency includes, Corsham, Melksham, Bradford on Avon, and a number of other, smaller towns and villages. In this area, each school will lose £132456 in funding between 2015 and 2020, based on the Conservative government’s own figures. That means a cut of 141 teachers across the area, meaning on average 4 fewer teachers for each school, as the funding for each pupil is due to be cut by £369. 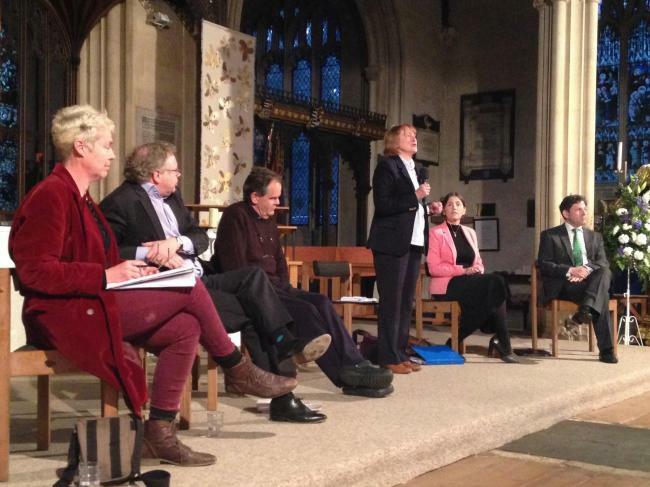 Wiltshire is already in the bottom 60 local authorities in England for pupil funding. Frankly, the Conservatives are not investing in Education for our children’s’ future nor for the future prosperity of our nation. In addition to the obvious human cost of unfulfilled personal potential, it is a false economy as more educated children get better jobs, pay more taxes and contribute to a brighter future for all of us. Labour will restore schools’ funding, and ensure that education is given the priority it deserves. Far from being “strong and stable”, the UK economy is faltering as the Conservative government are asleep at the wheel. They had no contingency plan for dealing with a Leave vote in the referendum, and the resulting government paralysis and business uncertainty has led to a slow down in the UK economy, as revealed by the latest GDP figures from the Office of National Statistics issued last Friday. The latest GDP figures show growth in the first quarter of 2017 of just 0.3% down from 0.7% in the last quarter of 2016. The service, retail and manufacturing suffered have seen a particular sharp slow down. Meanwhile energy costs are driving up inflation – in March the energy component of CPIH was up 8.7% on 12 months previously (largely due to the cost of fuel). CPI inflation is currently running at 2.3% up from 1.8% in January 2017. This has a real impact on the household budgets of families struggling to get by. Average real wages have fallen 10.4% since 2010. “The Tories had no plan for leaving the EU – and now ordinary working people are feeling the pinch from the collapse in the pound, increased inflation and the rise in cost of living. While it might be expected that a trade union will criticise the Conservatives, the Institute of Chartered Accountants for England and Wales conducted a recent business survey, which shows that 82% of businesses now plan to offset higher costs by passing on increased prices and charges to customers. 48% of businesses say they are exploring cheaper supplies, which will put the squeeze on the profit margins of other UK businesses, and may lead to increased imports as cheaper foreign suppliers are sought. Urgent government action is needed to intervene to restore business confidence, action which a Labour government committed to a strong economy will take. Britain faces a stark choice, a competent, compassionate Labour government committed to an economy that works for all, or a bumbling, arrogant Conservative government that serves only the rich few. But we cannot achieve a Labour government unless we vote for a Labour government. 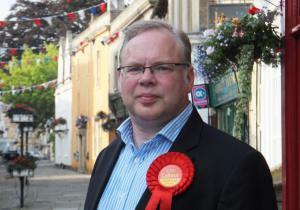 I am asking for your support as Labour candidate for the Chippenham constituency. Although Prime Minister, Theresa May continually harps on about strength and stability, her government lurches from one self-inflicted crisis to another. The Conservatives led the UK into a referendum on leaving the UK, but had no plans drawn up for how to deal with a leave vote. Any business which didn’t have contingency plans for such a momentous change would be regarded as incompetently managed, yet the Tory government had done no forward planning. The Lib Dems are even worse, they are opposing planning for Brexit even a year after the referendum result: that is a recipe for disaster. Labour respects the referendum result, but we will fight to ensure that the terms of Brexit are the best possible for the citizens of the UK, not ones that only suit millionaire fat cats in the City of London. In particular, Labour will ensure that your rights at work do not suffer when European law is repealed, and that we have advantageous trade terms to benefit our economy. Education is in crisis under the Conservatives, and a Labour government is seen as essential by teaching professionals, as we saw with the recent standing ovations given to Jeremy Corbyn by a head teachers conference. The NHS is straining under the Conservatives, with some nurses forced to resort to foodbanks. It is harder and harder to get a GP appointment, and waiting lists are growing. The record of the Conservatives in government has been the pursuit of narrow self interest by the rich for the rich, combined with blundering incompetence and short sightedness. In contrast, we should be very proud of what was achieved by the Labour government between 1997 and 2010. By 2010, there were 41000 more teachers and 120000 more teaching assistants, 80000 more nurses and 44000 more doctors, and 4.5 million families received tax credits of an average £65 per week. There was meaningful devolution to Scotland and Wales, the abolition of Clause 28, the introduction of civil partnerships, Sure Start, paternity rights, improved maternity rights, a right to Trade Union representation at work, a statutory route to union recognition, the minimum wage, expansion of the NHS, the school building programme, a vast increase of NHS and school staff, the working time directive, working tax credits, family credits, and more. Not to mention an end to the war in Ireland, and the start of a meaningful peace process. The Labour Party stands for a fairer and better Britain, a Britain that is on your side in hard times. Vote Labour on 8th June. The Conservative’s record on housing is one of seven years’ of failure. In the private rented sector, tenants are now spending £800 million every month on homes which the Government classes as ‘non-decent’. Around a quarter of this – some £2.3 billion a year – is paid by housing benefit. Of course there are very many good private landlords, who provide high quality accommodation, and carry our repairs and maintenance promptly. Many of us will have seen such success stories on daytime TV show Homes Under the Hammer. Yet weak regulation by the Conservative government of the minority of rogue landlords brings the whole private rented sector into disrepute, and profiteering levels of rents in some areas, where rogue landlords exploit vulnerable people, contribute to sky rocketing housing benefit payments, paid for by taxes. The next Labour government, in contrast, will act in the interests of the many not just the few by delivering a consumer rights revolution for renters. We will improve standards, security and affordability for people who rent their homes from a private landlord. Good landlords will have nothing to fear from these proposals, which will be targeted only at the minority who abuse their tenants. Labour will guarantee new legal minimum standards to ensure that all homes are at least ‘fit for human habitation’, give councils new powers to license landlords, allow private tenants to report those that rent homes that are unsafe, and will introduce tough new fines of up to £100,000 for landlords who fail to meet minimum standards. Under Labour, no one will be denied their basic consumer housing rights or help to address their concerns. During the course of the election campaign, a number of constituents have approached me with their concerns about preserving the natural environment. In 2010 the Prime Minister stated that “I want us to be the greenest government ever”. It is worth saying that the government has made some progress in developing policy since then, in publishing a Natural Environment White Paper in 2011, and establishing the Natural Capital committee. However, while fine in words, in actual deeds thing have been less successful. The cross party parliamentary Environmental Audit Committee has given the coalition government a RED card, for air pollution, biodiversity and flood and coastal protection. Indeed the government’s own data shows the first decline in the standard of protected areas (Natura 2000 sites) since records began. The State of Nature Report and Wildlife Link’s 2013 Nature Check report shows the decline of our natural environment is getting worse. The government promised to put England on target to get 50% of protected areas up to a favourable condition by 2020. Based upon the average annual change since then, the gap between target and achievement will be 97,479 hectares for woodland alone. Labour is committed to a 25 year plan for the recovery of nature, with clear 5 year milestones. This will reverse the decline in our natural environment.